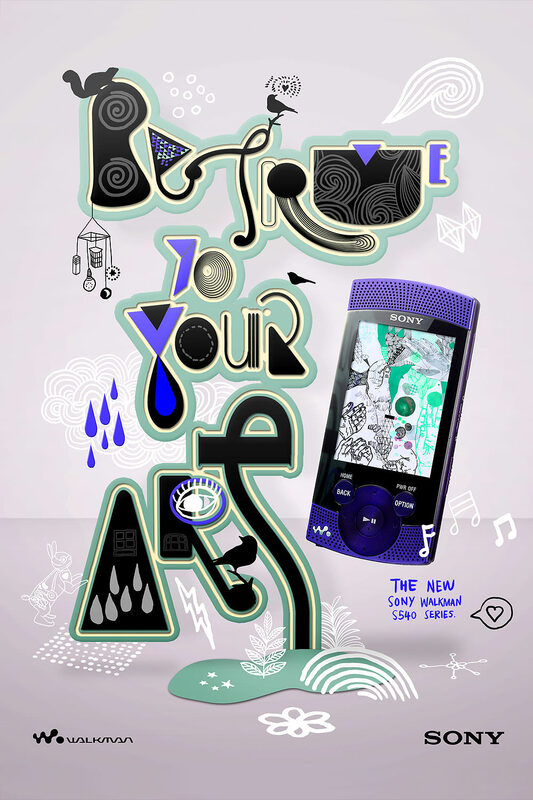 Ad campaign proposal for Sony Walkman - Be true to your Art. The Sony Walkman S540 series launch campaign was a 3-part events which featured Singer-Songwriter Lenka. To promote the product launch as well as the concert event, we got our hands together with a hand craft approach for the proposal, incorporating the quirky illustrations James did for Lenka, that echoes the headline: Be True to Your Art. Illustrations by James Gulliver Hancock.